I am fortunate enough to have allotment neighbours who don’t mind sharing. In one neighbours case, pleading for things to be used. In this case, a tree laden with beautiful Cadbury purple plums. Ma and I asked permission and picked about five or six pounds. I only needed three. Then there were blackberries which were also harvested from the edge of my own plot. These were all gathered up. 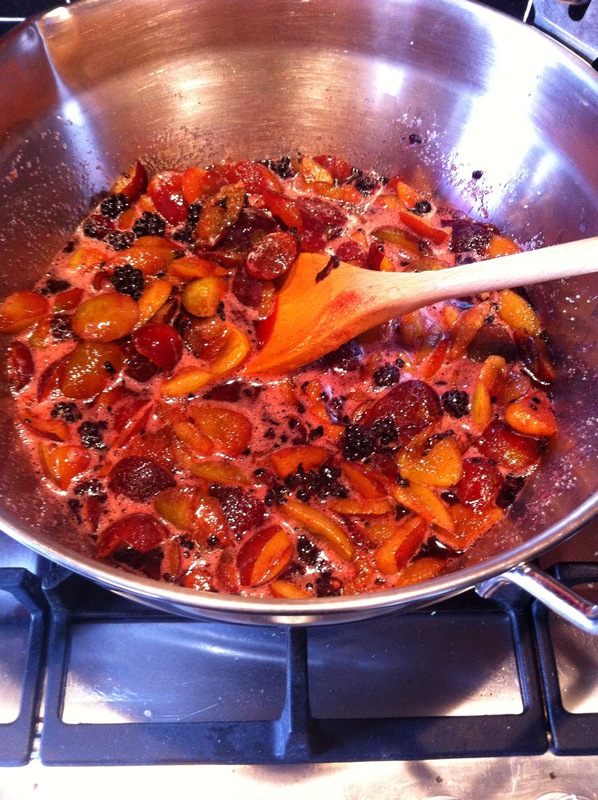 Washed and the plums where stoned as it were. All piled into a pan with sugar and water. stewed down a mashed before lemon juiced was added and set to boil. And boil. This didn’t get to setting point of 104 degrees; but the bottom of my pan did get very black I tell you. 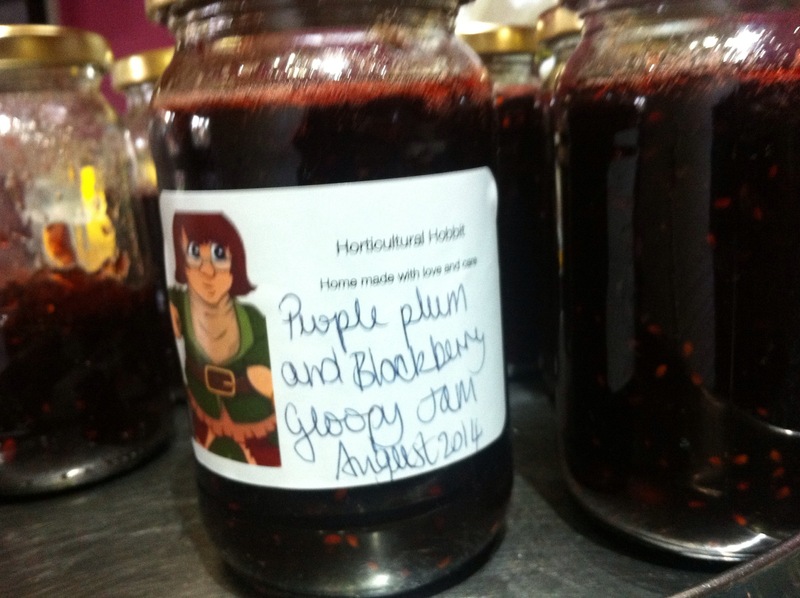 All very disheartening, this gloopy jam, poured into jam jars. One of which has so far set. 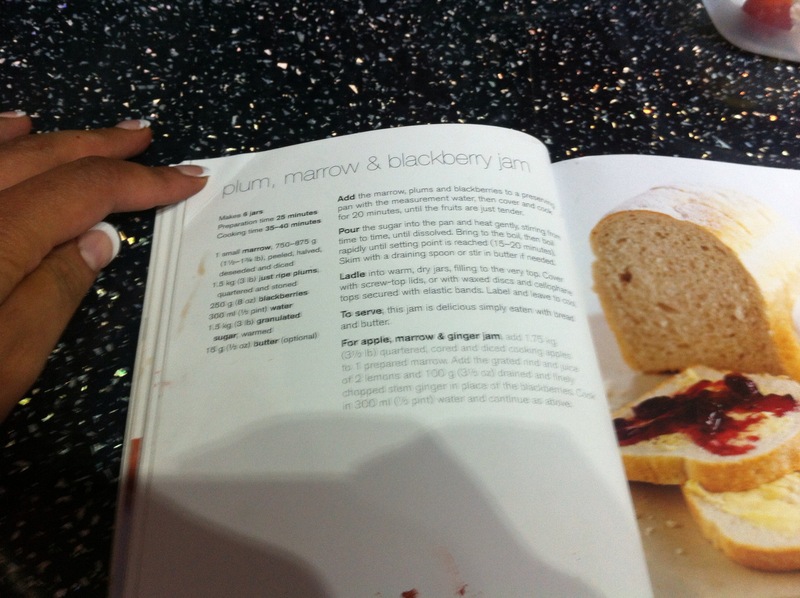 I guess this can be used as gloopy jam; though ma did spread it onto toast. I also put some onto bananas and watermelons. 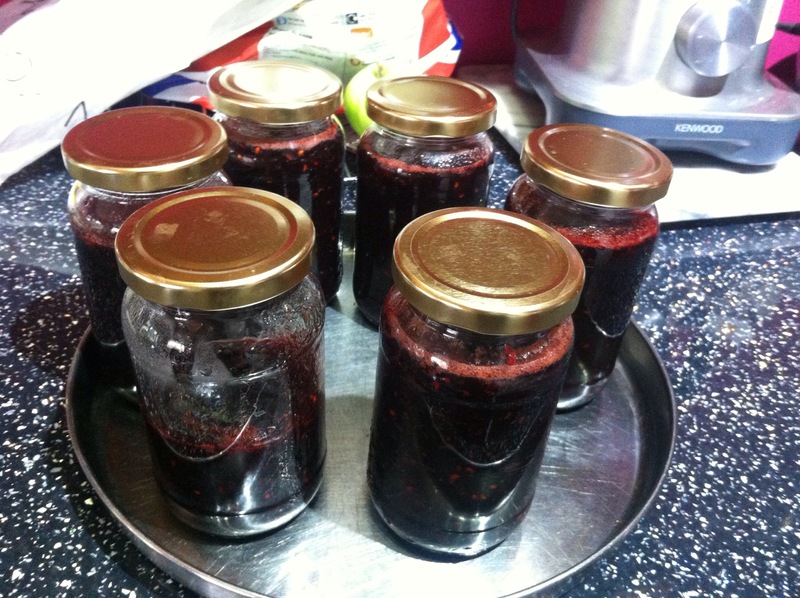 I’ve had runny jam this year. But it goes great in a smoothie! It’s good as a squash or juice mix too!